Oh dear. I just know that as soon as I finish this review I’m going to receive a lot of angry emails. People are very attached to their favorite rimfire rifle, and take any criticism of their choice very badly. 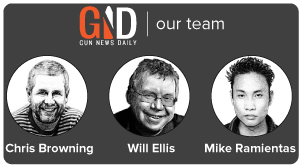 If you’re one of these people, this review is not for you, because you already know what rimfire rifle you are going to buy for your kid when the time comes – the same one you inherited from your father. For the rest of us, however, there is a choice to make. And with new rimfire rifles coming out every year, and updates to old models as well, the choice nowadays is pretty bewildering. Luckily, I’m here to guide you through your options. 1 What’s A Rimfire Rifle? One that fires from the rim, obviously. Most cartridges have a small circle on the base. This is where the primer inside the bullet is, and this circle is where the firing pin of a standard rifle impacts the cartridge. A rimfire rifle acts slightly differently. Rimfire cartridges have their primer in a ring around the base of the bullet, and the rifle strikes this. The advantages of these rifles come down to two factors – cost and recoil. It is cheaper to manufacture rimfire cartridges than center-primed bullets, and so they generally cost less. In addition, most rimfire rifles are calibered in .177 or .22. This means the recoil on these rifles is less than on a “full-sized” rifle, making them perfect for beginners. Choosing a weapon for someone else, or a first weapon for yourself, is never easy. Myriad factors need to be considered, from the size of the person who is going to be using the rifle to the situations in which they are going to use it. For my money, though, two things need to be considered – price, and adaptability. If you re buying a rimfire rifle for a beginner, there is no point going for the top-end rifles, and spending thousands of dollars. 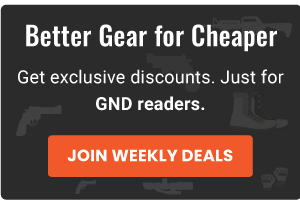 The most expensive firearms generally make very small improvements over their mass-market equivalents, and there is no point spending good money on a gun that might be forgotten about in a few years time. On the other hand, it is worth investing in a gun that will last for a while, and be adaptable enough to whatever situation the beginner wants to use it in. Spending too little on a rifle, and then having to buy a new one for a specific purpose, can be just as expensive as making the mistake of getting a high-end rimfire rifle. You have a huge range of options when it comes to rimfire rifles. Let’s take a look at some of the most popular choices, before I chose a winner. This pump-action rimfire rifle is a classic, and is an excellent choice for both beginner and seasoned pro alike. The slightly larger body of this gun also gives it a number of advantages over the competition. It will last essentially forever, as long as you look after it correctly, and will take even quite rough treatment without giving you any problems. In addition, the weight of this weapon helps to reduce recoil, which can be very helpful when teaching a beginner. While a great gun, the 572 pump only missed out on our top spot today because it is perhaps a little too heavy for the true beginner. Especially if you are looking for a rimfire rifle to take out with your kids, the bulk of this weapon makes it a little hard to handle. Still, if you are looking for a rimfire rifle that will last for many years, this is the one to go for. If you’ve got the money, the Ruger 77/22 is a lovely rimfire rifle. Unlike a lot of “premium” brands, Ruger have taken a simple approach with this rifle – there is no long list of extra features, bells and whistles, but rather killer accuracy and huge power. Every part of this rifle screams quality, from the smooth trigger mechanism right through to the hand-finished stock. In addition, the 77/22 makes a great base for modification, being able to accept a huge array of accessories. 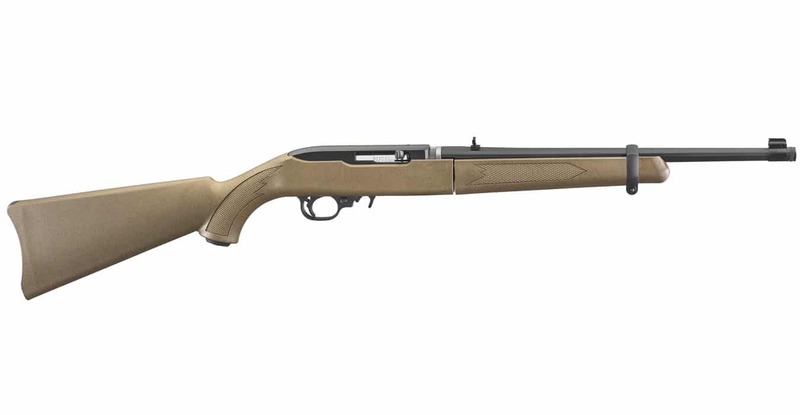 Overall, if you are looking for a rimfire rifle that you (or a friend) will be able to use many years into the future, the 77/22 is a great option. The accuracy of the gun is such that it is only limited by your own skill, and many who have been shooting rimfire rifles for years will not be able to reach the limits of this weapon. Again, this is a great rifle. The only drawback here is the cost – a rimfire rifle at this price is just a little bit too much. Still, if you take your .22s seriously, and have the spare cash, this is a great rifle. Check the price online today. No list of the best rimfire rifles would be complete without a mention of the Marlin 39A. This rifle has been in production for longer than any other gun in the US, and whilst not the sleekest of guns it gets the job done. In addition, the no-nonsense approach taken here actually has big advantages for beginners. Learning to shoot with a simple rifle ensures that you acquire all the relevant skills, with little to no help from the gun itself. Once you are an accomplished shooter, you can get a little bit lazy, but when learning it is important not to cut any corners. And don’t think, just because this is an old design now, that it performs badly. The accuracy of this weapon is still up there with the best, and will not be a factor for all but the most experienced of shooters. I hesitate to say anything bad about this rifle, because it has stood the test of time. The only reason I wouldn’t recommend it is that this classic design can be uncomfortable when shooting for extended periods. When the weapon was made, real men didn’t care about such niceties, of course, so if you want a truly classic .22 experience, go for this Marlin. Those shooters who have this gun won’t be surprised that this is our choice. The Ruger 10/22 has long been a favorite among those who take their .22 rifles very seriously, and with good reason. What you get with this rifle is an amazing mix of versatility and power, and all at a price that makes this gun very competitive (check best price here). The history of this rifle speaks of its reliability. It is probably, by now, the most tested .22 in the US, having been enormously popular for over 50 years. Many of us at the GND office learnt to shoot with one of these, and so it is with a dash of nostalgia that we’re recommending it as the best rimfire rifle for beginners. There are a whole host of different variants of the 10/22 available, because it has been made for so long that it has been adapted for almost every niche, competition, and use that you can think of. The model we have gone for – the Takedown – stays pretty true to the factory-standard stock and barrel. This is great for beginners, because they can get used to what a rifle like this “should” feel like before trying more exotic set ups. Let’s take a look at a few of the reasons why this is such a good rifle. The Takedown 10/22 can be easily disassembled, using a proprietary system designed by Ruger many years ago. 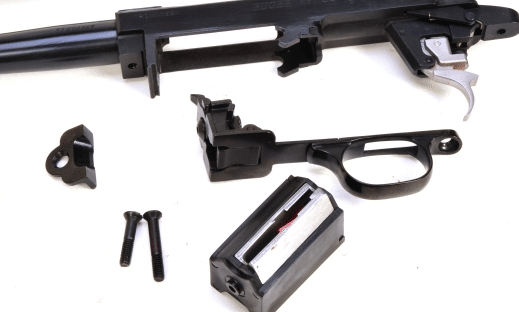 Taking the gun down simply involves locking the bolt back, verifying the rifle is not loaded, pushing a recessed lever, and then twisting the sub-assemblies and pulling. The two parts of the gun will slide apart from each other easily, making carrying and cleaning this rifle much easier. And when it needs to be reassembled, you do not need to worry about your aim being off. Simply connecting the two pieces back together will return your sights to your previously set zero, ensuring that your accuracy is not compromised even when out in the field. The rotary magazine used in this rifle makes a nice compromise between size and portability. It will carry 10 rounds, more than enough for most purposes whilst not weighing the rifle down. In addition, this magazine incorporates a unique design that separates out each cartridge, ensuring that each is fed to the weapon reliably. The action is perhaps the best feature of this rifle. Having been tested for many years in the field, it is still as reliable as ever. In short, while some rifles offer tiny improvements on the accuracy or weight of the Ruger 10/22, none can match its balance of features, or its history. For beginners, we think this is a great rifle because it combines all the advantages of a rimfire rifle. The weapon is light, accurate, and can deliver a good amount of power at a reasonably low price. For beginners, it makes sense to start on something of a “classic” rifle, before finding their own preferences and investing in a more exotic rimfire. First, remember that this is about as powerful as .22 rimfire rifles get, and while you may be used to a larger caliber, this rifle still generates a lot of power and a fair amount of recoil. If you are buying your son his first weapon, I would recommend going for an air-gun before you get into rimfire rifles. There are, of course, cheaper rimfire rifles available. 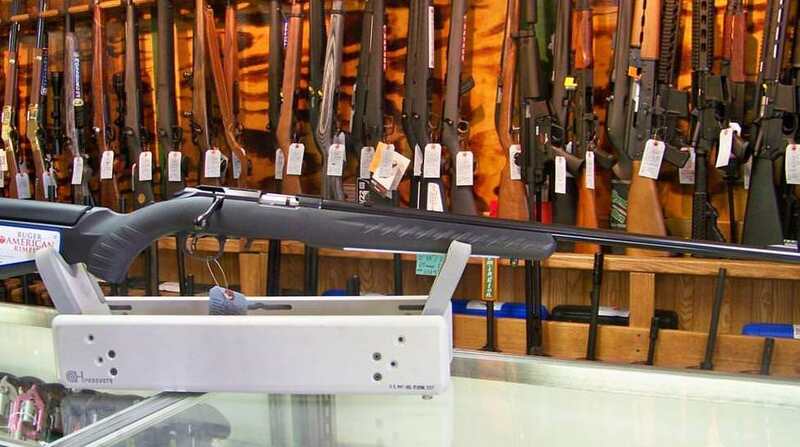 Whilst this Ruger is nowhere near the most expensive rimfire rifle, even for beginners, there are guns that cost half the price of the Takedown model we’ve chosen. That said, you get what you pay for with this kind of weapon, and getting a rifle based purely on its price is never a good idea. Another reason why the Ruger 10/22 is great for beginners is the range of accessories available for it. When first starting out with shooting, some of these gadgets can really help with improving accuracy and comfort. Everything from extended magazines to adapted trigger mechanisms are available for this rifle, and this means that one the beginner gets used to it, the possibilities for modification are essentially endless. One of the most popular of these modifications, especially for beginners, is the change the factory stock. One of the biggest sources of frustration for beginners is that, before they get used to shooting with a rimfire rifle, it can be uncomfortable to use one for extended periods. An aftermarket stock can help with this, and especially something like this Hogue Over Stock. So there you have it – our favorite rimfire rifle for beginners is the Ruger 10/22. It offers a classic design that will get the beginner used to shooting with these rifles, whilst also being adaptable enough to keep up with them as they progress as a shooter. In addition, the reliability of this weapon is legendary. Easy to repair and maintain while in the field, this rifle lets the beginner get on with what’s important – learning to shoot accurately and quickly. If you’re looking for a great rimfire .22, the Ruger 10/22 should be your first choice. Just a reminder for anyone looking to practice shooting, make sure to use the highest rated ear protection to keep yourself safe and sound. Do you have a favorite rimfire that’s not included in our list? Please let us know in the comments below. Happy hunting! I think you’re dead wrong when you suggest a semi or pump as appropriate for a beginner. Your first considerations should be about safety and fit. That means single shot or clip fed bolt where it’s easy to check whether the firearm is loaded or not. Gotta learn to walk before you run.